FORT MYERS, Fla. - April 4, 2018 - PRLog -- Hammond Stadium, home of the Fort Myers Miracle, is hosting a sanctioned qualifier for the 2018 Nathan's Famous Fourth of July International Hot Dog Eating Contest. The top male and female participants at the Saturday, April 14 competition in Fort Myers will claim a seat at the nationally televised Independence Day competition in Coney Island, N.Y.
"A trip to the ballpark isn't complete unless you eat a hot dog – it's a tradition," said Chris Peters, president and general manager of the Fort Myers Miracle. "Hopefully the ambiance at Hammond Stadium helps these competitive eaters get in the mood to break some records!" Last year, Nathan's Famous held its inaugural Southwest Florida qualifier at Germain Arena. The top male contestant, Pablo Martinez, downed 25½ hot dogs and buns during the 10-minute competition, and the top female contestant, Mary Bowers, consumed 10 hot dogs. Both local qualifiers finished 12th in their respective divisions at the international championship on July 4, 2017. 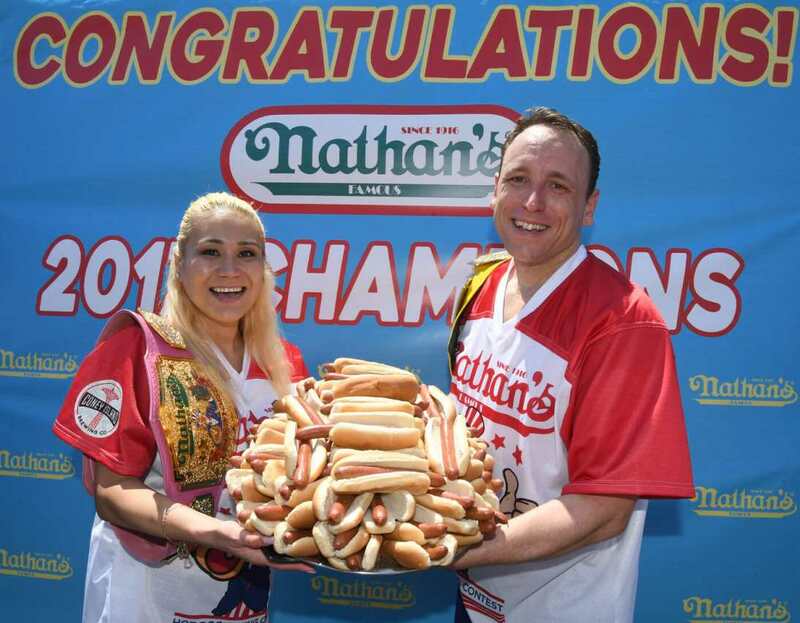 Joey Chestnut claimed the men's title after consuming 72 hot dogs in 10 minutes, while Miki Sudo downed 41 hot dogs to earn the women's championship. Hammond Stadium's gates will open at 4:25 p.m. on April 14, with the Hot Dog Eating Contest set to begin at 4:30 p.m. The Miracle play the Tampa Tarpons at 6 p.m.
Vouchers for free game tickets and parking will be available April 11-13 at Nathan's Famous' Fort Myers location, 11150 S. Cleveland Ave., Suite 100. To register for the Hot Dog Eating Contest, visit MajorLeagueEating.com (http://www.majorleagueeating.com/index.php). The April 14 Miracle game also features a Brian Dozier bobblehead giveaway. For a complete schedule of games and promotions, visit MiracleBaseball.com or call 239-768-4210.